Notes: 1.Whether to be referred to the reporters or not? 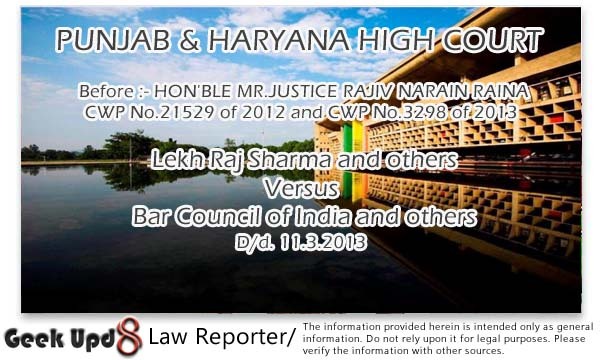 After hearing Mr.Jai Vir Yadav and Chaudhary Bhoop Singh, the lead counsel on either side and the other respective learned counsel for the parties at considerable length, a broad consensus has emerged that the sharp differences between the two rival groups which have emerged from amongst the 27 member State Bar Council of Punjab and Haryana (for short “The SBC”) deserves to be given a decent burial. ii) All decisions taken in the two meetings held separately by both the sides on 8.7.2012 and the meeting held on 18.12.2012 which were subjectCWP Nos.21529 of 2012 & 3298 of 2013 4 matter of hot and acrimonious debate before this Court would stand nullified to the extent of appointment of Returning Officer, without casting any shadow of doubt on any member present or not at the meetings attended by the Hon'ble Members of the Bar Council on the said date. 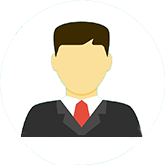 The decisions on other agenda other than relating to appointment of Returning Officer are not touched upon and would stand on their own strength. SBC for six months as ordered. iv) All the members of the SBC would cooperate with the Returning Officer in the discharge of his duties assigned by this order and the rules and regulations applicable. the SBC with the help and aid of the entire body of members of the State Bar Council. x) Mr.Jai Vir Yadav, Advocate and Mr. Bhoop Singh, Advocate for the respective parties along with one other Hon'ble Member of the State Bar Council of their choice would meet Justice N.K.Agrawal to apprise him of this Court order and to detail him on the task ahead to enable him to draw up a plan of action consistent with the ultimate objective of holding elections on the two dates already fixed. With the above directions, the two writ petitions are disposed of. It was the schedule fixed by the Bar Council and not some individual person. moreover the petitioners in writ petitions were seeking stay. please recheck the petition before giving credit. Dear Anonymous, there is nothing on this page that seems to be giving credit to anyone. it is just the overview and the announcement of dates that have been finally fixed for the elections.